ChalkStream® farms are built on the sites of old water mills. The mill races provide a huge volume of water allowing the fish to grow in a constant current that mirrors their natural river environment. Unlike the earth pond system of most freshwater farms, our fish are grown in custom designed hard sided and gravel bottomed tanks and raceways to create the cleanest possible growing conditions. Being land based, the farms are able to share the water while remaining fully separated from the chalkstream rivers. This minimises the risk of escapees and allows us to return clean water to the rivers, avoiding the health and environmental issues related to sea and loch reared fish. 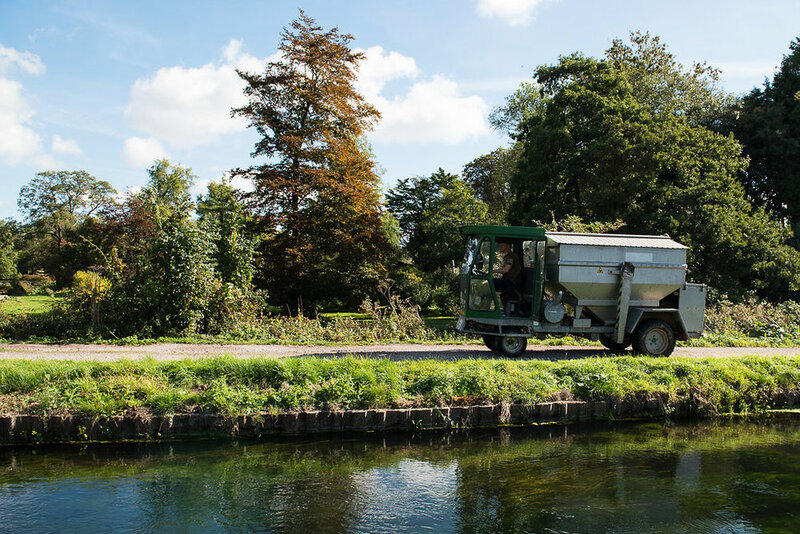 Each farm has a small and dedicated team passionate about growing ChalkStream® trout. Everyone who works on the farms is qualified in aquaculture, and our managers are some of the longest serving in the industry. The artisan-led approach ensures the fish are nurtured from hatchling to harvest using the best quality diet and highest standards of husbandry.